 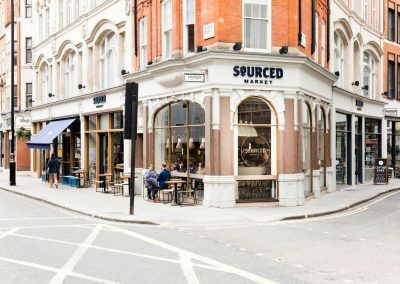 Sourced Market is a unique concept of a farmer’s market, with artisan food and drink suppliers, which has been brought to the convenience sector. 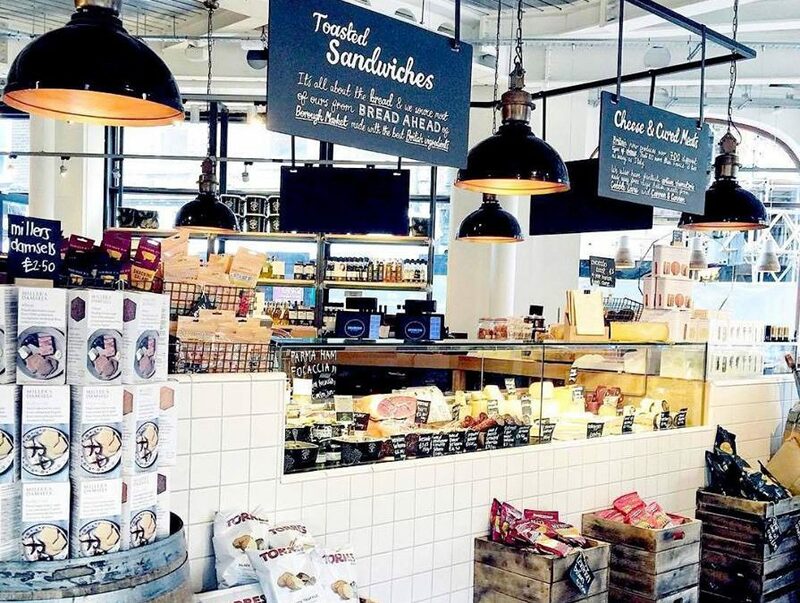 The company began life as a nomadic fresh food market, showcasing the best of London’s small independent food producers at summer events. 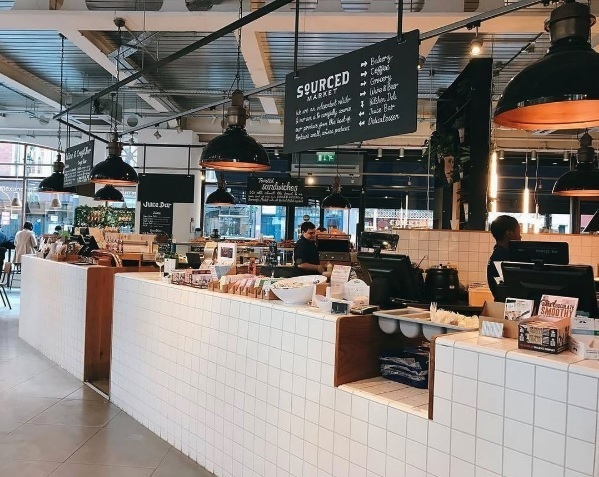 Following its success, the search began to find a permanent location and, in 2009 St Pancras station became Sourced Market’s flagship site which spans over 1,600 square feet and serves over 12,000 commuters and tourists each week. 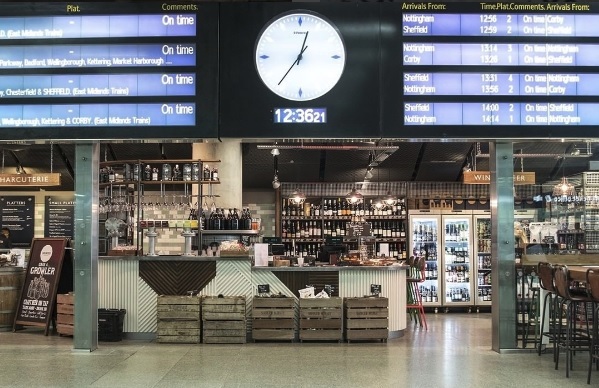 A successful Crowdcube campaign, led to the opening of two further sites in Marylebone Station and, most recently, Victoria Station. 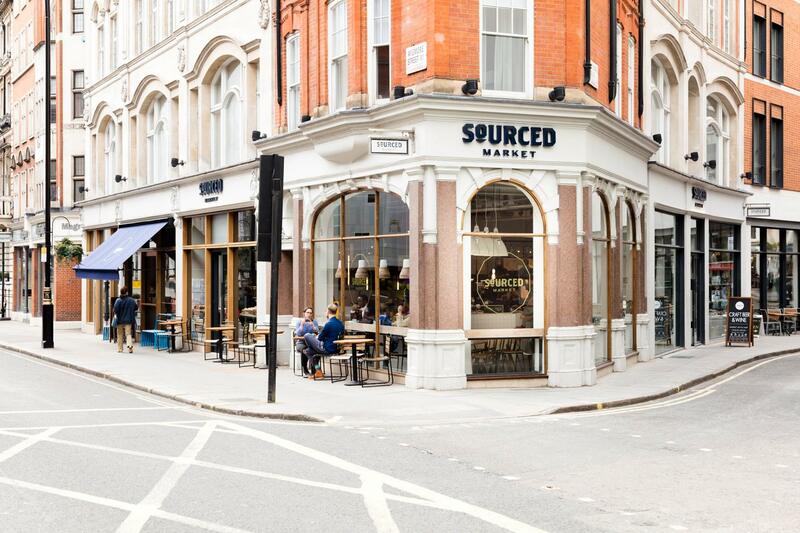 Sourced Market is a place for eating, drinking and filling up the larder with impeccably procured food and drink from, mostly, small independent British food and drink producers. 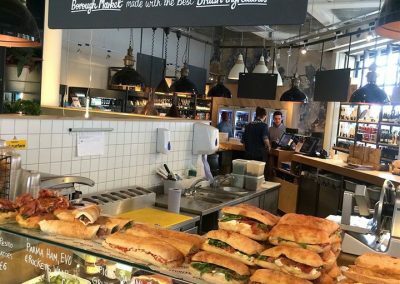 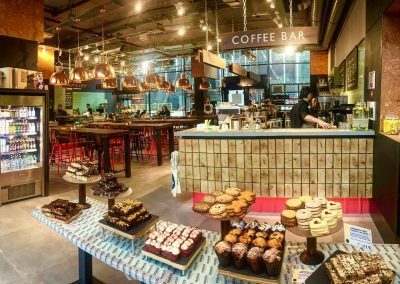 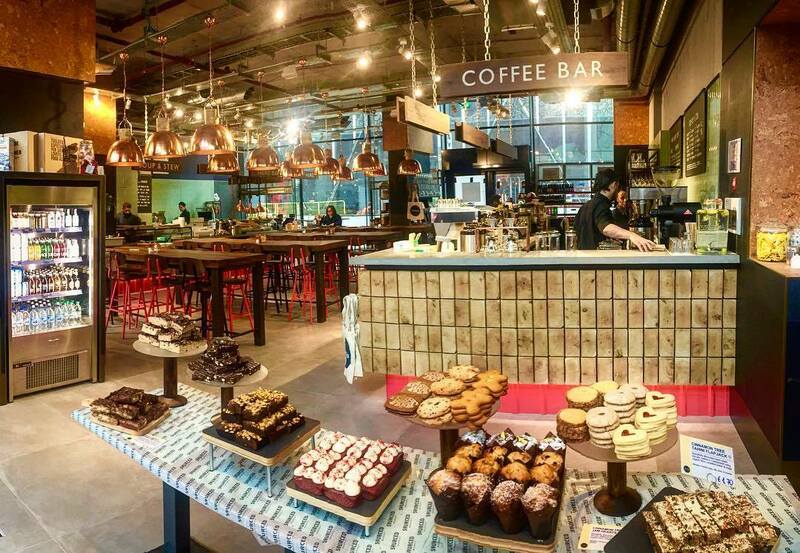 There’s a deli counter, juice bar, a coffee shop with guest beans on monthly rotation, a bakery, hot food and a large selection of wraps, sandwiches and salads. 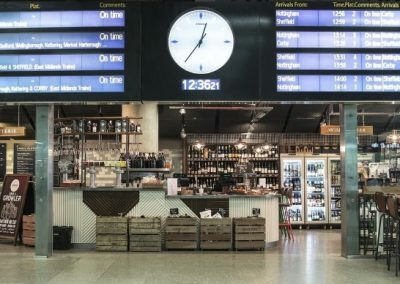 “Over the last 5 years we have changed the expectations of food served in rail station outlets and offer real food-to-go. 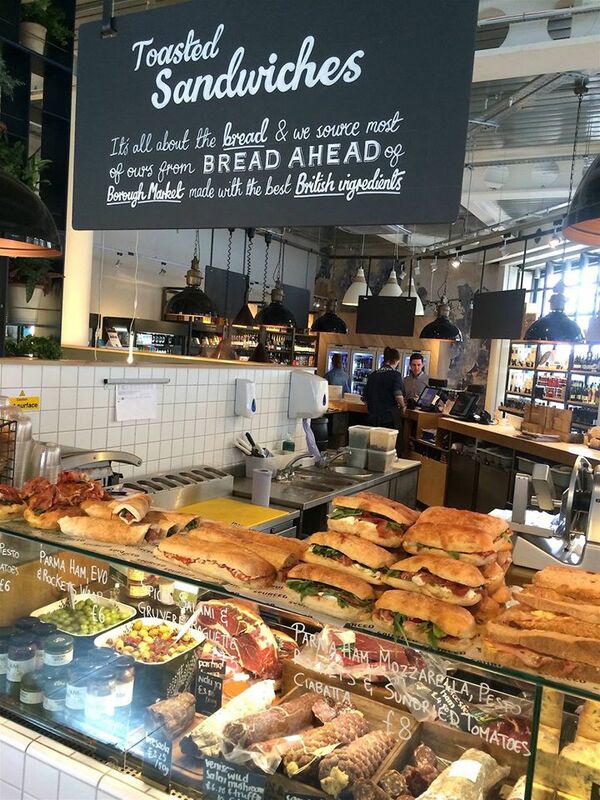 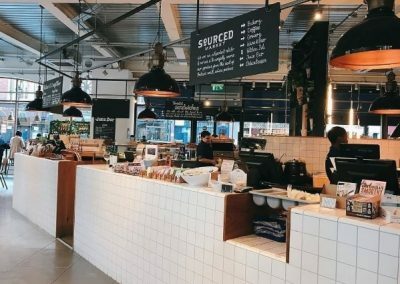 Our stores stock produce from over 100 small artisan food and drink suppliers and customers can eat in or take-away from a daily changing menu,” says Ben O’Brien, founder of Sourced Market. 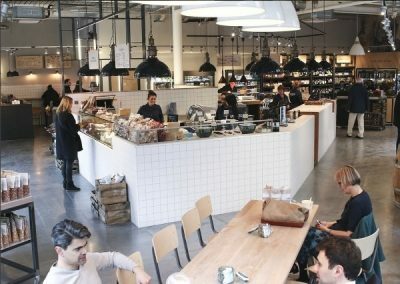 Having worked with Sourced Market on its first two sites in St Pancras and Marylebone, GS Foodservice Design has recently designed and fitted out its catering areas at the new site in London’s hottest neighbourhood for foodies, Nova, Victoria. 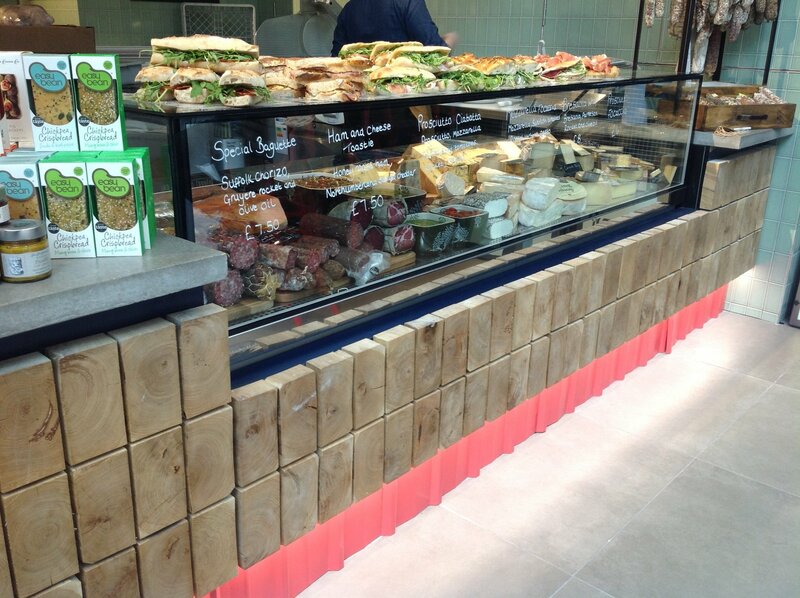 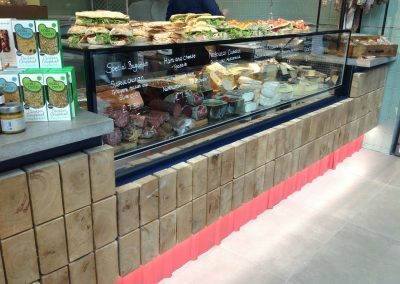 The project has included installation of two double-glazed deli counters, a drop-in ceramic hot plate, bespoke stainless steel benches and the creation of a central deli bar. 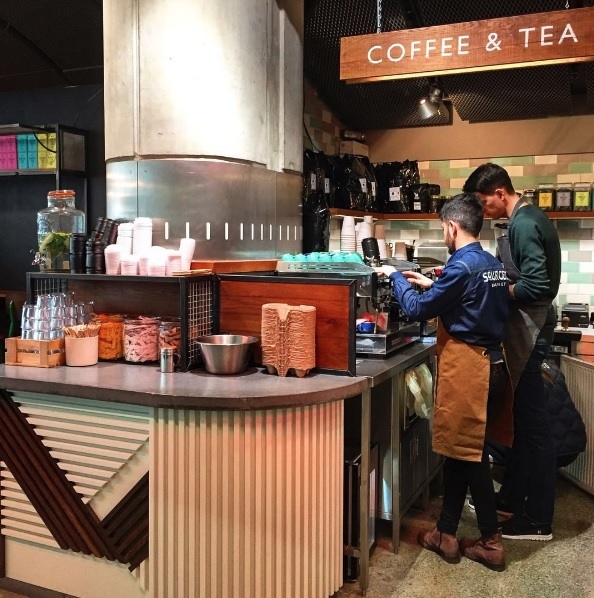 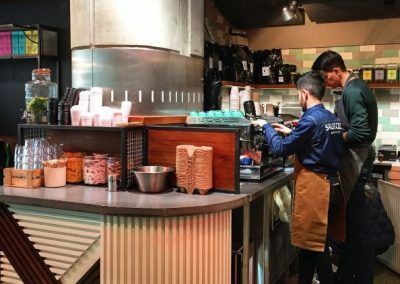 GS Foodservice Design has also provided a back bar within the coffee area, to house beer kegs and coffee equipment, which had to fit seamlessly with the adjacent concrete counter tops.